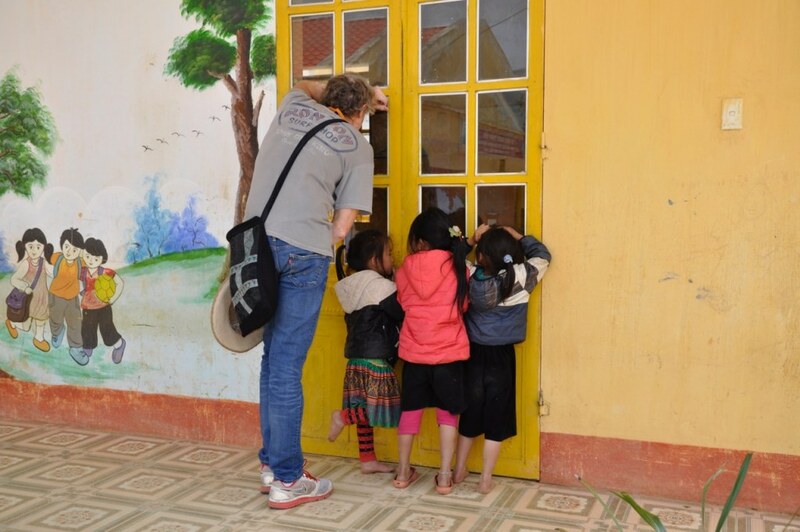 I am currently participating in a trip through Vietnam, Cambodia, and Laos and ended up visiting a number of schools in remote indigenous communities here. I couldn’t help but notice that almost every community that I visited has a primary school and most have secondary and “high schools”. Also, I noticed that the schools themselves are in excellent condition – far nicer than in Peru or Bolivia. Like in Peru, the schools here seem lacking in supplies and technology. The curriculum that was being taught while I was in the classrooms is significantly more advanced than I am familiar with seeing at the same grade level in Peru and Bolivia. I was very impressed with the math in particular that students were doing and based on my brief time in the classrooms I also sensed that the students themselves were more engaged in their studies. Turns out that Vietnam spends 6.4% of GDP on education while Peru spends only 4%. It is perhaps not surprising then to find out that in the most recent PISA international education survey (2018) Vietnam finished 21st of the 70 countries that participated and Peru finished 64th! It will be interesting to find out what factors, besides the level of investment in education, can be attributed to these diverse outcomes. Keep in touch! Sign up to receive our monthly Dispatches.